We love this stretch of Lafayette. 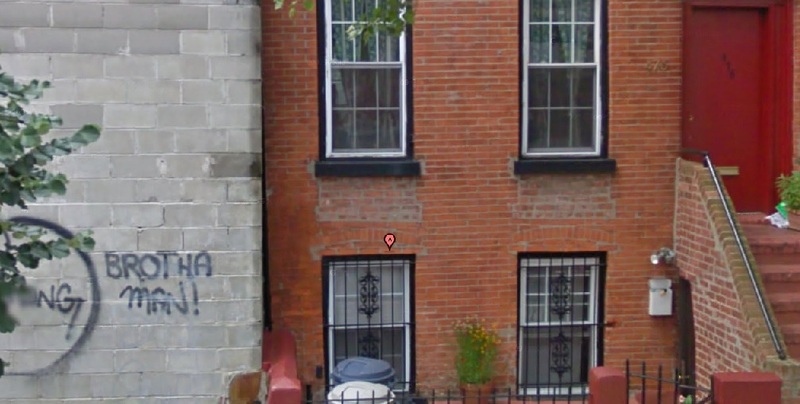 Prime Fort Greene territory. 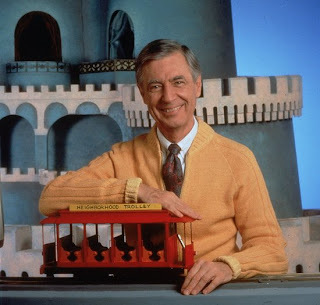 The park is close by, the Lafayette C train (which is curiously actually on Fulton) is close by, you've got a lil' 67 Burger, a lil' Smoke Joint, a lil' Habana Outpost - we'll even forgive Lafayette for being a noisy ave with a bus route going down it. 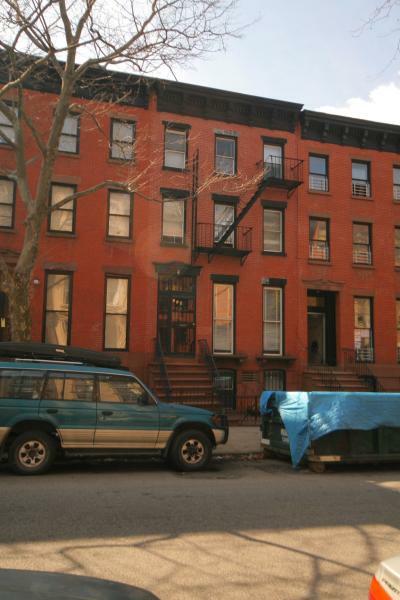 Scattered listings pop-up over here, like one of our personal faves that managed to get bootleggedly faux-listed by various groups including those jokers over at Rapid Realty, 79 Lafayette. And there was the mysterious 70 Lafayette too. Today comes a great-looking place just a block over, 92 Lafayette. Unlike some of the affordable foreclosures out there we've covered, this looks like simply a bad buy unravelling. 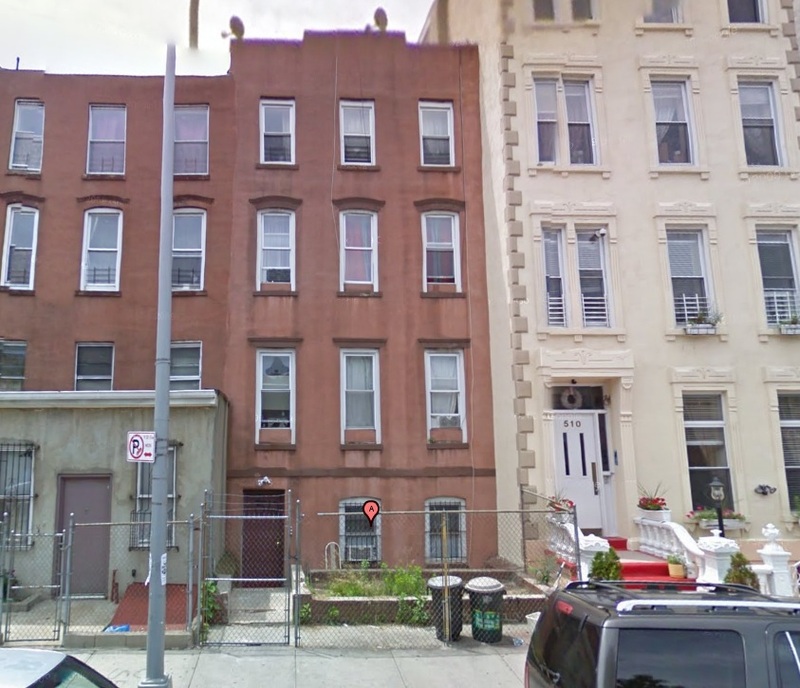 Purchased in 2006 for a steep $2.4M, a lil' Lis Pendens in 2007, and again in 2010. 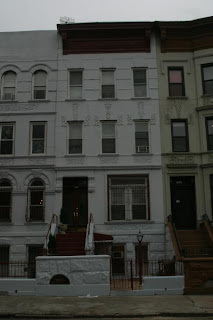 Now the foreclosure auction for $1.7M-ish is scheduled for 12/16/2010. Ideally: People still mess around and pay over $2M for the right building over here. But it's hard to justify a certain price on this thing with so many unknowns. 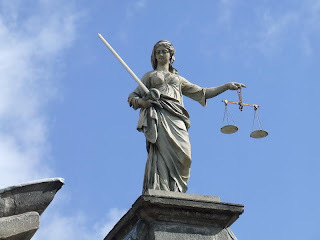 Fascinating case all the same. According to Zillow, it looks like the owner just listed it themselves in January 2010 for $1.3M, which lasted until a price drop in July to $950K. Now Fillmore is showing a recent price reduction to $899K. 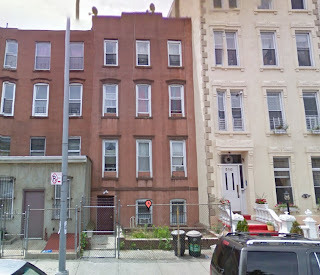 Much like 473 Union Street, which by the way was listed for this same $899K and just dropped another $40K recently - this is starting to look like a nice, small turn-key kinda play, just off the beaten path of a great neighborhood and still close enough to the train. Ideally: this starts looking appealing. The owner's got tons of equity, there's gotta be room to make a move. Maybe one of the closest plays to the 4-Family loan limit with the rent roll to actually justify it. But this price looks to be a break-even attempt for the owners, who it seems pulled an addtional $400K in equity out soon after purchasing the house. Which may explain why we've heard some near-asking offers have been shot down. 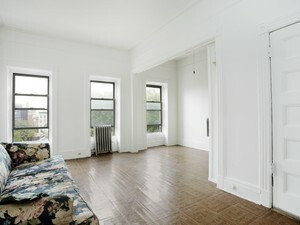 Con's: not the finest interior, not the biggest floor plate, not the cheapest price, 1BR rentals? Ideally: there's a play to be made right around the 4-Family loan limit. 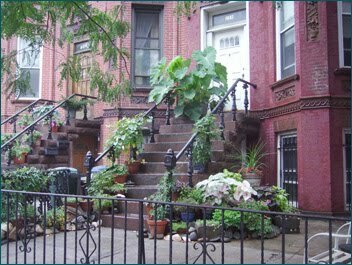 Even the New York Times has our back this week as they note, "There is no comprehensive listing service for Brooklyn brownstones." Ain't that the truth? And nobody's trying to really do something about it more than we are. To that end, we bring you yet another undercover listing. 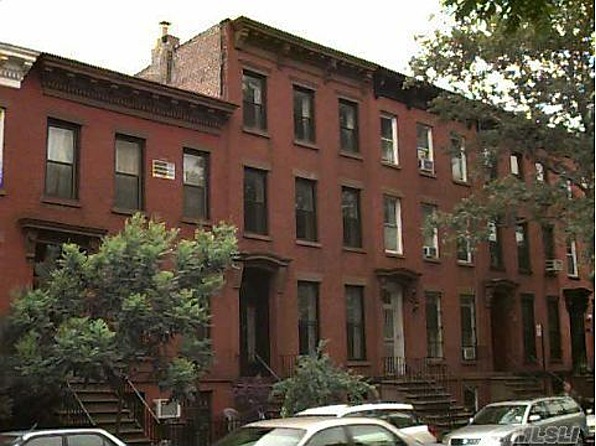 Although it's just on the other side of 4th Avenue from south Park Slope and it's vinyl-siding, we wanted to focus on something south of a million. 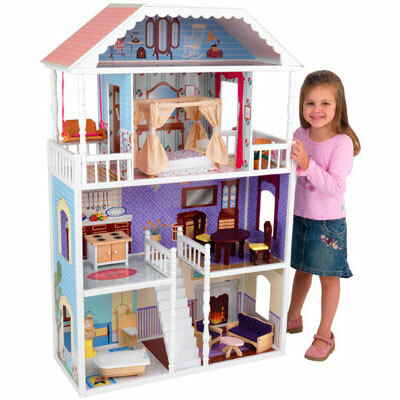 The play here is as a condo alternative. Can't expect much income to ever come out of this place, but it's nice to have your own space compared to what other kinds of spaces this kind of money gets you around the Slope. Ideally: this place has to work for somebody, but pricing is tricky. The more we think about it, 4-Family's are the move. 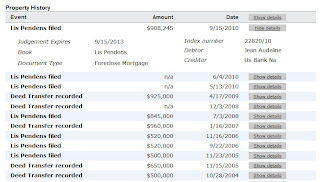 Some can gross upwards of $9K/month AND you get the biggest loan limit from FHA, $1.4M! One of our favorites from the summer, 33 St. Marks, just closed at its asking price of $1.6M and looked well worth it. 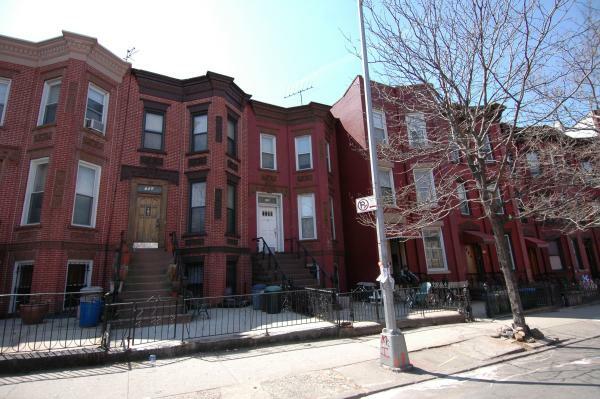 Today's pick, 512 Classon Avenue, is a 4-Family brownstone with a relatively low price tag of $795K. 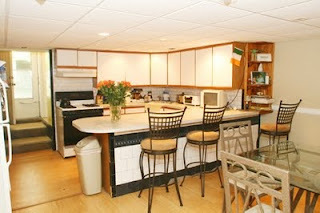 The listing has been out since 3/27/10 and doesn't give too much information, or any pictures of the interior. However, it does claim, "Everything renovated. New boiler, roof. Electric in good condition." Throw in that it will be delivered vacant, and there's potential over here. Granted, this block is kind of a cut-off point for us. This is the outer edge of Clinton Hill. Not particularly close to trains or amenities. Kinda noisy with the bus route and bus stop right across the street. 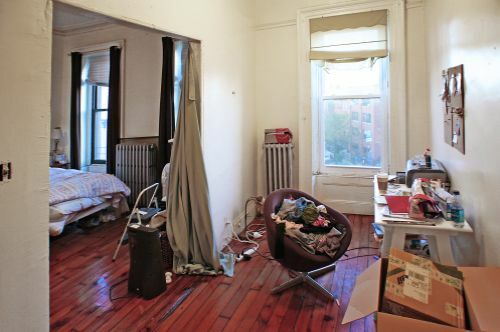 We don't know the rental market over here that well, and by the time you're over here, maybe you just head to Bed-Stuy for cheaper prices and more space. 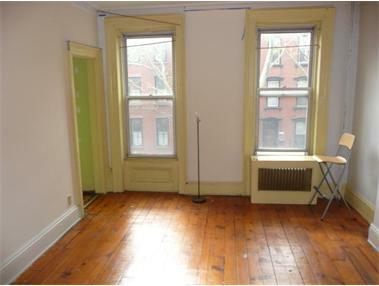 But there's plenty of Pratt student rental potential, and this place has to make sense around $600/BR, if the 20' width allows for 2BR rentals. Ideally: this place is real and worth a look. Most likely, there's some catch. Dear Realtor, a pic or two wouldn't hurt either. 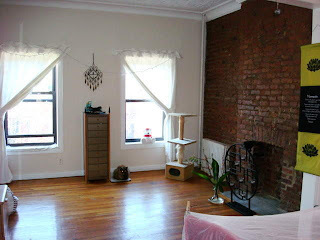 At BK to the Fullest, we're dedicated to bringing you a diverse variety of hard-to-find listings. 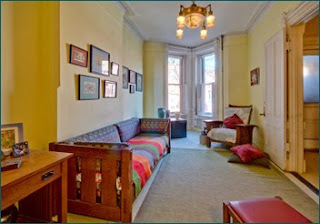 So we'd like to bring you more than just Corcoran listings. And we don't wanna pad their stats or anything, or toot their horn endlessly. We do have to give them credit, though. Even when they mail it in, they're still running laps around the competition. Once again today, we couldn't resist covering one of their places. 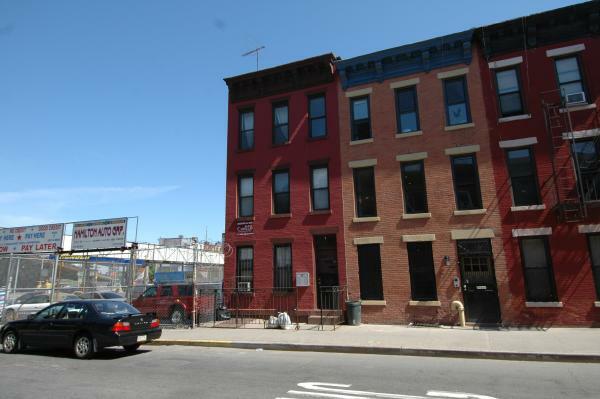 476 Degraw Street is a 2-Family brick building in the Gowanus-y end of Cobble Hill. 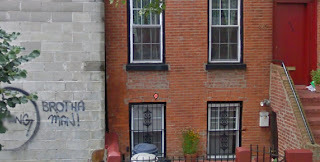 Granted, this is way off the beaten path, kinda boxed in the by the projects. But this place makes a way better case for itself than most of these pricey 2-Family listings out there now. Cheaper than 228 Cumberland, which is on a way better block, but no one's ever seen the inside of. Cheaper than 414 Dean, which needs all kinds of work. It's cheaper and probably a better proposition than 61A South Elliot Place. 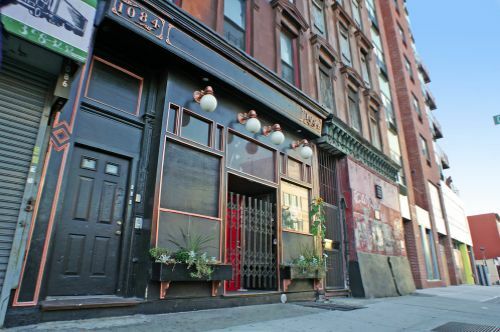 This may be too Gowanus-y for its own good and therefore kinda over-compensating on the interior, á la 128 2nd Street. This whole price range is too high for us for a 2-Family. 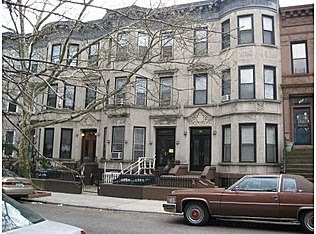 But the money, 407 Sterling and 54 St. Felix are still the top two 2-Family's out there. 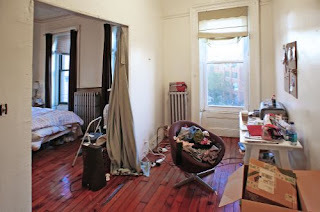 Pro's: interior, you can SEE the interior, perhaps there's someone for whom this place stacks up to pricey condos? Ideally: at what price does this beat Sterling or St. Felix? 36 4th Place - another 4-Family closing on a block with a lot of activity, 10/13/10 for $1.9M. 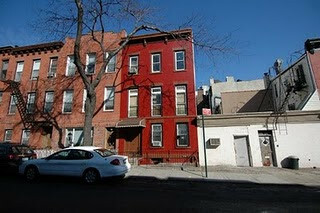 78 2nd Street - a funky little 2-Family listed 7/14/2010 for $1.095M, closed 11/03/10 for $1.065M. 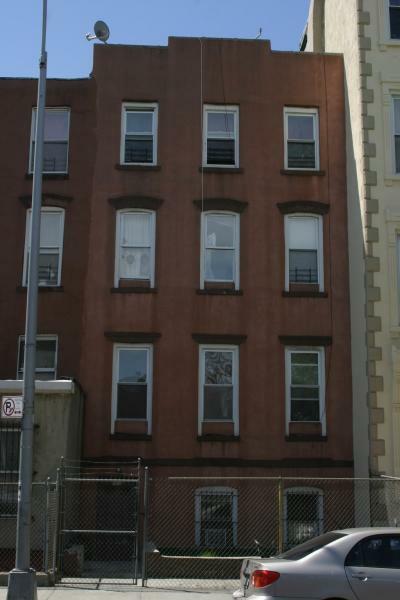 351 Sackett Street - a 3-Family in need of renovation, we covered this one back in August back when it was listed at $1.195M and figured it worked under a million. It closed for $925K on 8/18/10 and was just recorded last week. 77 Douglass Street - interesting 8-Family listed for $1.9M with Century 21 (we believe) on 7/7/2010. Closed on 10/28/10 for $1.65M. At almost 6,500 sqft, that's a chunk of building for the price! 514 Classon - a 2-Family foreclosure that closed on 8/5/10 for $548K, recorded 2 weeks ago. 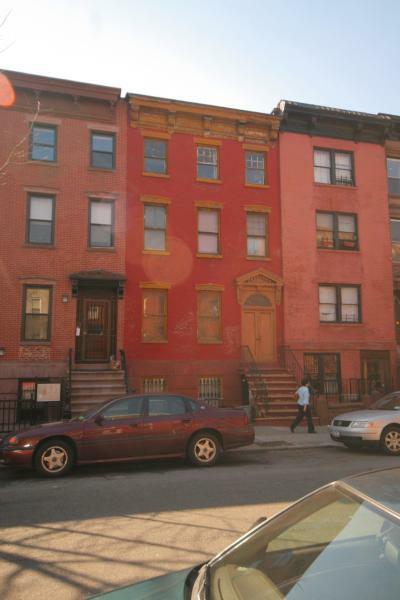 315 11th Street - another affordable 3-Family in South Slope in need of some face-lifting. 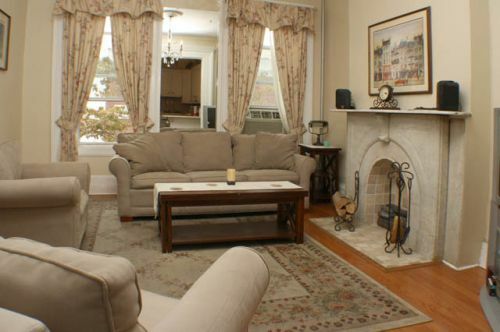 Listed for $999K, sold for $915K on 10/5/10. This block on the edge of Carroll Gardens is like foreclosure alley. Our third posting in a row, in this row, is 155 West 9th Street, not to be confused with 155 A. It certainly had us confused. 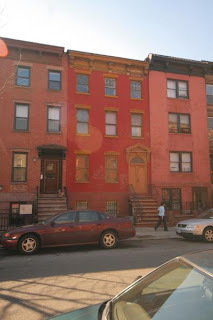 According to its listing and Zillow, like its neighbor, this 3-Family was last offered at $1.1M and closed for $970K. It supposedly grosses over $6,500/month in rent with its 2BR rentals. Which is why the foreclosure Lis Pendens from 5/12/2010 has us so confused. Again, isn't there enough rental income here not to go into foreclosure? Maybe there's something we're not factoring in? Thoughts? Ideally: pay your mortgage, maybe? This isn't South Florida. Prices have dipped but not collapsed, and rents in Brooklyn (if these were ever real) should be pretty steady. After yesterday's post on this tiny stretch of West 9th Street in Carroll Gardens, we notice a closing on the same block a few doors down. We thought, won't you be my neighbor? This listing had been around a while. We actually take credit for sending it over to Brownstoner.com after our disappointment and inception over here over 204 Clermont. Comments on Brownstoner quickly bashed poor 157 9th Street for its noisy BQE & traffic-ridden location. Some comments proposed prices in the $800K's. As often is the case, the final sales price ended up nestled between their Reader's Appraisal and the latest list price. According to Zillow, this 3-Family property originally listed for $1.55M in July 2009, fell to $1.4M in a month, $1.25M in another 4 months, was most recently seen for $1.1M, and closed on 10/4/10 for $970K. This sounds very in line with the price action seen down the street. At some point these have to become attractive on a purely cash-flow basis. But that BQE sure is a doozy. 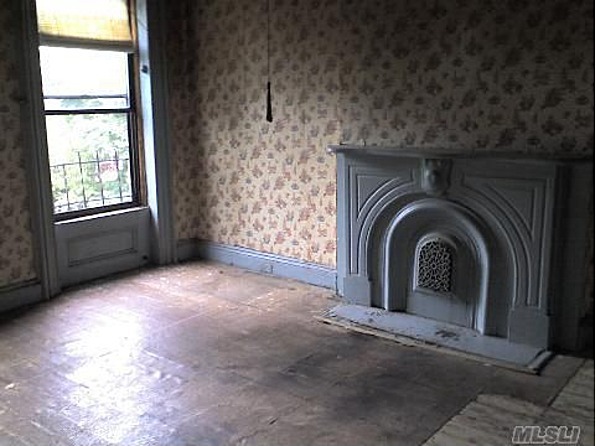 Pro's: affordable price, decently renovated, rental income potential, technically "Carroll Gardens"
An odd listing today for sure. We've had our eye on this place for a little while, trying to pin down its sometimes-undisclosed location. Zillow won't tell you where it is, Trulia won't tell you where it is, even the listing itself won't tell you where it is. 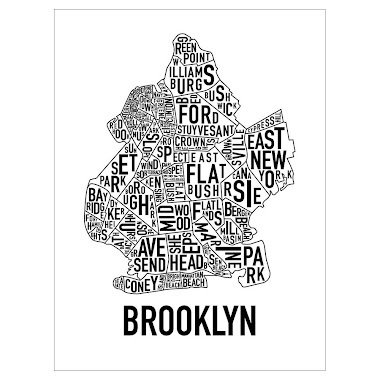 But when it comes to needle-in-a-haystack Brooklyn real estate, nobody has you covered like BK to the Fullest. 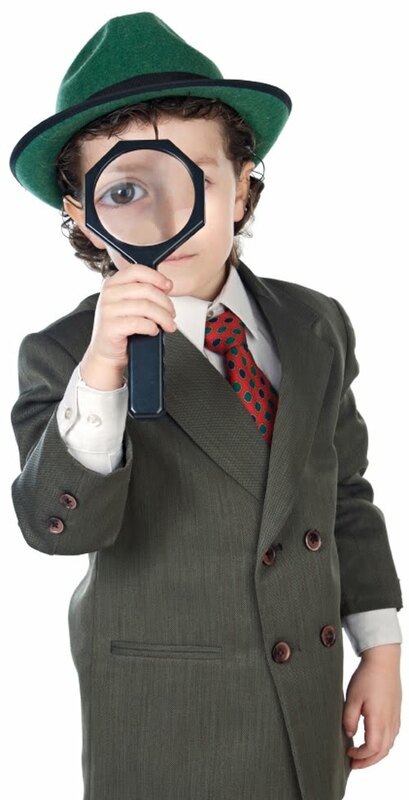 Sit back and let us do the detective work for ya! This listing has a little bit of everything. 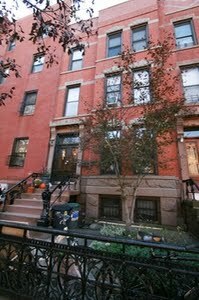 153 West 9th Street had a price drop from $999K to $888K on 9/15/10 that Trulia knows about but the listing from the broker itself doesn't even reflect yet. 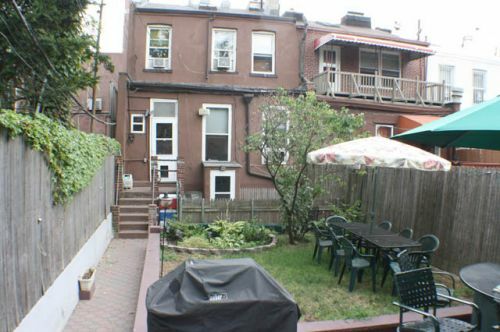 Originally listed in 6/18/2009 for $1.2M, this 3-Family boasts some incredible, downright unbelievable cashflow. 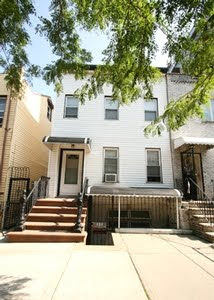 The listing says, "Rent for 1st floor Duplex with basement $3350. 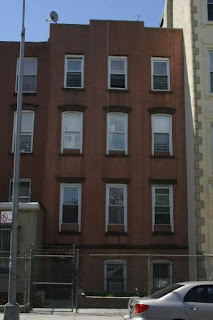 2nd floor 2 bedroom $2350 and 3rd floor 2 bedroom $2150... Building Recently appraised at $1.8 million." Hmm, that's interesting, because that cashflow could support the mortgage on a loan of almost $1.4M, and yet there's a Lis Pendens filed from the Bank of New York on 12/29/09. Surely there's enough income to go around to make the payments on the less than $1M in various mortgages that seem to be out on the place. Something smells fishy. 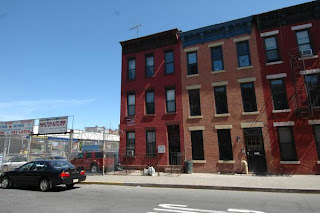 Besides, who's paying that much rent to live next to the auto dealership and under the BQE overpass, on the very hectic, noisy, industrial outer outskirts of Carroll Gardens? Looks like it was picked up in October of last year for just under $700K, and is now being flipped. You'd think they'd be proud to show the new renovation. Nice bones on a nice block, there's lots of potential here. So why so shy?? 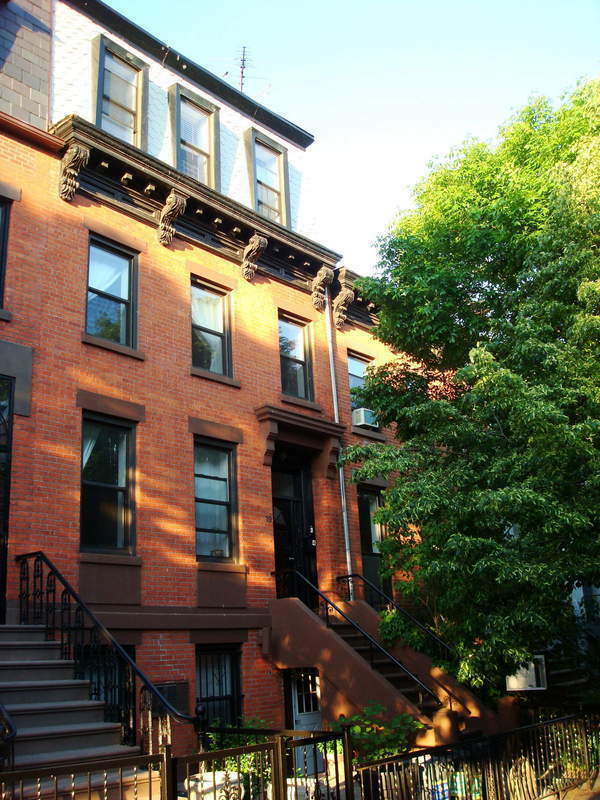 There are so few places on these prime blocks in Fort Greene that there might be enough demand to fetch a buyer who's got their ear to the streets and can uncover these undercover listings. Overpriced and nothing to look at?? ---> it's so crazy, it just might work! Ideally: with lots of 2-Family's running around with steep price tags like this, showing no pictures isn't really gonna help set ya apart from the pack. There are more newbie's in this area worth comparing it to that we'll bring you in the coming days. Con's: price could be high for the more affordable budget, how much renovation is needed? Ideally: Take a look at it and make a go for it!! Someone's bound to swoop it up for more than $1.2M, but it's worth a shot. 04/17/2008 -- Listed by Corcoran at $1,850,000. 05/01/2008 -- Price decreased by 3% to $1,799,000. 05/07/2008 -- Listing is no longer available. 05/15/2008 -- Re-listed by Corcoran. 05/21/2008 -- Price decreased by 6% to $1,700,000. 08/14/2008 -- Price decreased by 6% to $1,600,000. 10/12/2008 -- Price decreased by 5% to $1,525,000. 11/09/2008 -- Listing is no longer available. 12/03/2008 -- Re-listed by Corcoran. 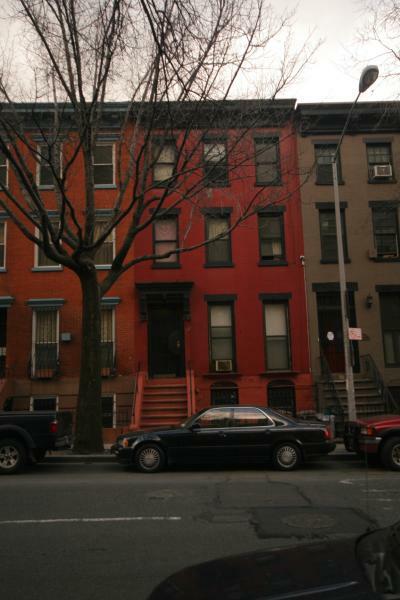 03/21/2009 -- Price decreased by 2% to $1,500,000. 08/09/2009 -- Listing is no longer available. 09/29/2009 -- Re-listed by Corcoran. 09/29/2009 -- Price decreased by 7% to $1,399,000. 01/01/2010 -- Listing is no longer available. 03/06/2010 -- Re-listed by Corcoran. 03/18/2010 -- Listing is no longer available. 03/31/2010 -- Re-listed by Corcoran. 08/17/2010 -- Listing entered contract. Yes, before the crash there were lots of hopeful candidates in the $1.8M range. 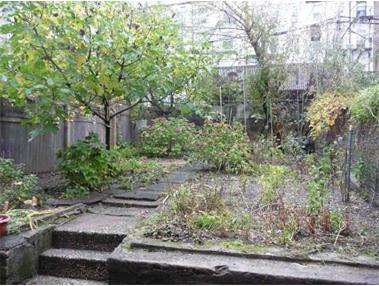 We're not even sure how, according to Property Shark, this property ended up with a Lis Pendens filed 3/30/2009. From what we can tell, the owner owned it outright and pulled just about $1M in equity out in 2005. 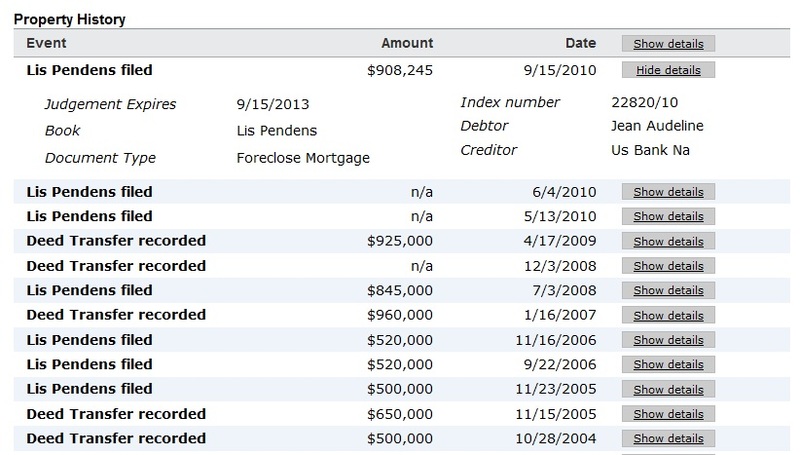 There should have been ways to keep that loan afloat before going into foreclosure, right? Or a sales price that would've worked prior to it getting to that point? 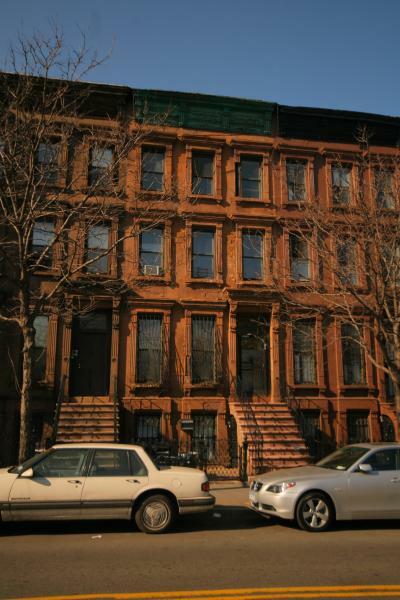 414 Park Place would still be a way better buy as a pricey 2-Family. Heck, this place even makes the pricing on 407 Sterling look more appropriate. 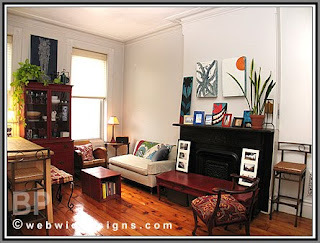 Ideally: This goes for a price the buyer and seller can both live with. It will be very telling to see how much. And it should serve as an example for some other mis-priced properties that ya don't wanna be behind the pricing curve in a down market and end up in a race to the bottom. At first glance, the off-the-beaten path location would seem to be the reason for the listing price seeming so low. However, if the building is projected to gross $121K/year after February 2011, that's an incredible Gross Rent Multiple. 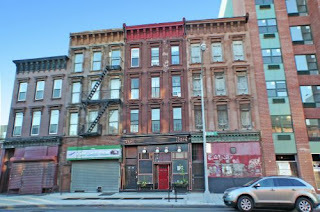 Compare that to the 16' landmarked building on 274 Court Street with half of Sweet Melissa in it. 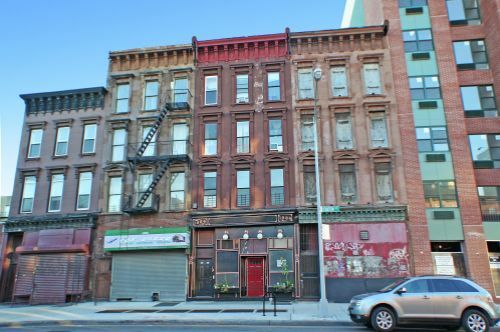 This building is renting at top of market already and set to gross just $10K more per year than 1084 Fulton. Sure, Carroll Gardens is a huge upgrade from borderline Clinton Hill/BedStuy - but is it worth paying twice the premium for almost the same return and little upside potential? 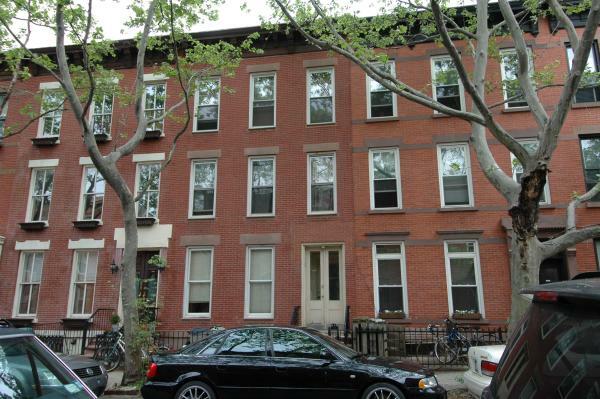 Even Massey Knakal's listing on Smith Street in Boerum Hill just a few blocks away from this Sweet Melissa was a better opportunity, although also top of market. Ideally: there's gotta be move to be made here at a price not too far from this. 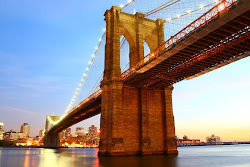 Especially if the desirable neighborhoods of Brooklyn are semi-interchangeable to you, the rental income is there for sure. 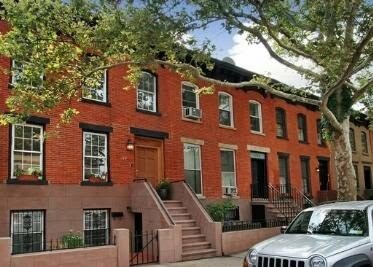 414 Dean Street is a nice looking brick building on quiet-but-centralized block in Park Slope. It's about as close as you can be to Atlantic Yards without feeling the hustle and bustle of it. The exterior looks great, but who's trying to pay this much for a restoration and a 2-Family no less? The current list price of $1.7M makes yesterday's listing look like a steal. The price action here is pretty confusing too. According to Zillow, it was listed at $1.975M in October 2009, then dropped to $1.675M in March 2010, then removed a month later. Now re-listed in August 2010 for $1.7M. We don't know what difference 4 months made that they felt compelled to raise the price it already wasn't selling at by $25K. But we do give credit for a variety of pictures and a legit listing description. Admit it. 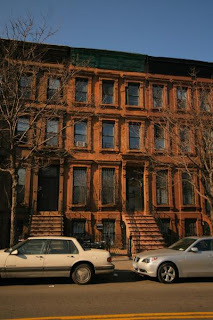 You wanna live in Fort Greene. But you don't wanna put $340K down. Sorry, can't help ya today. 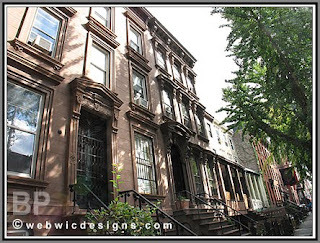 61A South Elliot Place is a gorgeous 2-Family brownstone in Fort Greene asking $1.7M. Wake up every saturday to the hipster parade that is Brooklyn Flea. Eat a different meal every night on DeKalb, Lafayette, or Fulton. But know you're paying top dollar for a reason. Even for those of truly baller status, there might be better pickins just around the corner, but it's a matter of taste at that point. Ideally: you find a little wiggle room on the price, but if you're that baller, why are you splitting hairs? 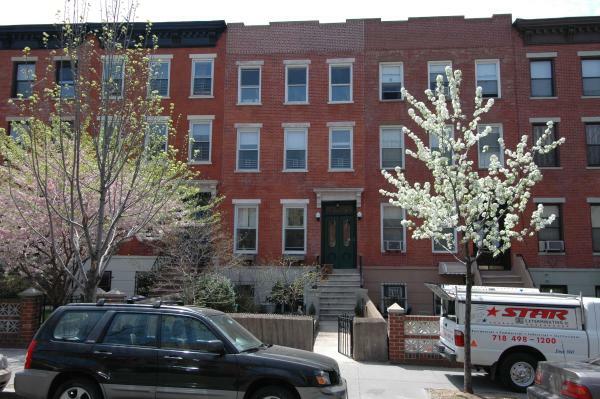 584 10th Street is kind of a dandy, kind of generic, as we wade through the series of listings here in South Slope. 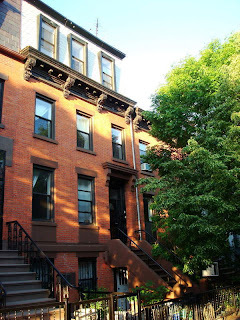 This one stands out because of its handsome brick curb appeal, location close to Prospect Park up the Slope between 7th and 8th Avenues, on a great block, with a modest renovation. What else stands out? The price. $1.675M is good pricing, but do you get what you pay for? This feels like Park Slope premium for the location and block it's on. Nothing's wrong with a 20' wide house, per se, but the "1.5 bedrooms" on the rentals leaves us wanting more. Even the listing itself makes a fair assessment of the rental prospects with the modest claim, "offset your living costs with rental income." Ideally: This amount of money gets ya lots of house these days. Make sure you really wanna be in the slope before you commit. South Slope is kind of an interesting play. Lots of the same amenities and proximity to the park as more prime Park Slope, with a slightly different feel and a few less strollers. Luckily, lots of these blocks within a manageable walking distance of the trains at 4th Avenue and 9th Street keep popping up in relatively affordable price ranges. 258 11th Street is a 2-Family brick building listed just under a million at $979K. One could argue this is begging to be bought around the 2-Family loan limit of $934K. However, it's also less than 17' wide, and has 3BR's maximum. Yet, as the listing points out, this house may still stack up favorably to many condos around this price. 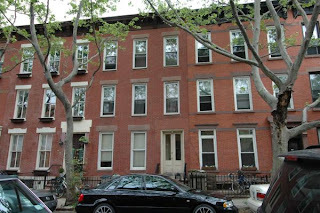 Back from vacation with a look at a 3-Family building in prime Fort Greene that recently closed for $1.2M on 10/20/10. This Street Easy listing for 324 Carlton says it needs a complete renovation. Property Shark says it was first listed in June 2010 for $1.25M, and it looks to be an estate sale. 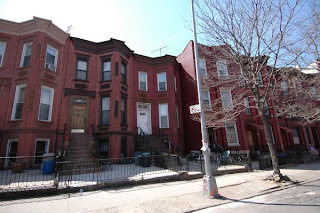 While this would be a great block to live on, right between the main drags of DeKalb, Lafayette, and Fulton in Fort Greene, our first instinct is the price seems a touch high for a 19' X 35' place in need of a complete renovation. Especially when compared to some of our favorites like 258 Adelphi. Although, you throw in the 17' foot extension and a limited supply of quality buildings on these blocks in this price range... nah, it's still pretty surprising. The listing brags that, renovated, this "can easily become a $2,000,000+ house" and the pretty immaculate 341 Adelphi might agree. Although the whole might not be greater than the sum of the parts, once all the work is done.